The PR2 KTM Linkage system is revised to bring a higher level of performance to the newer KTM/Husqvarna models. 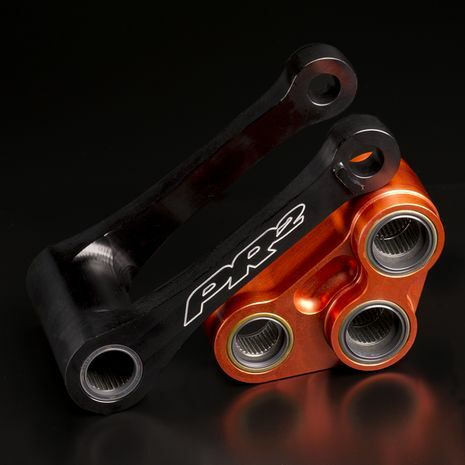 Since being the first to market an aftermarket linkage for a KTM in 2011, we have refined the design to make this a must have item for Moto and Off-Road applications. The newer models of the KTM / Husqvarna are considered to be harsh and very skittery or unpredicatable feeling. The harshness and slight loss of traction in all situations that result in an "unplanted" feel. This linkage balances the chassis and gives the bike an unbelievable planted feel compared to stock while improving the linear progression of the rear suspension.